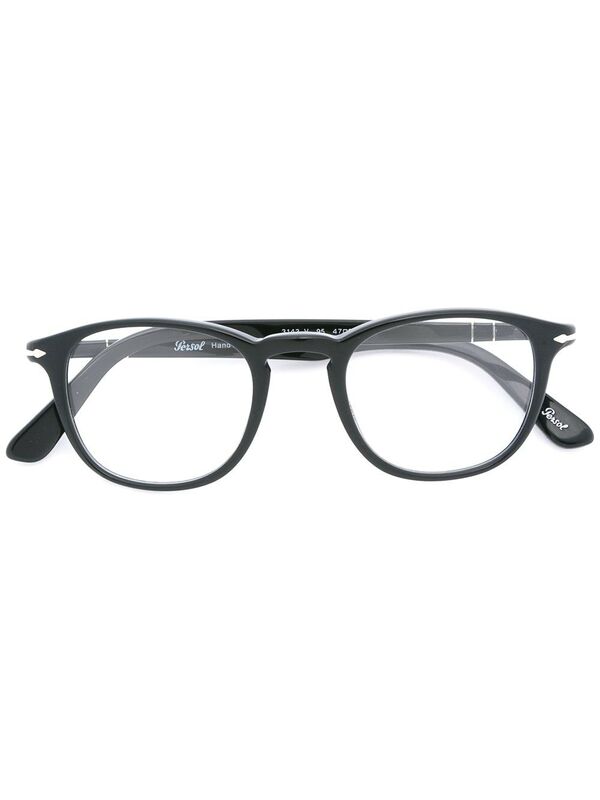 Black acetate round frame glasses from Persol. This item comes with a protective case. This item is unisex.